The Pelican 1605 EMS padded divider set is built tough, made of ballistic nylon with tough fastener closure. 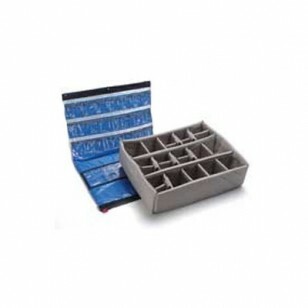 Velcro edges make it easy to reposition these dividers into the spaces you need. This Pelican padded divider is specifically made for the Pelican 1600 EMS series case. Includes lid organizer.